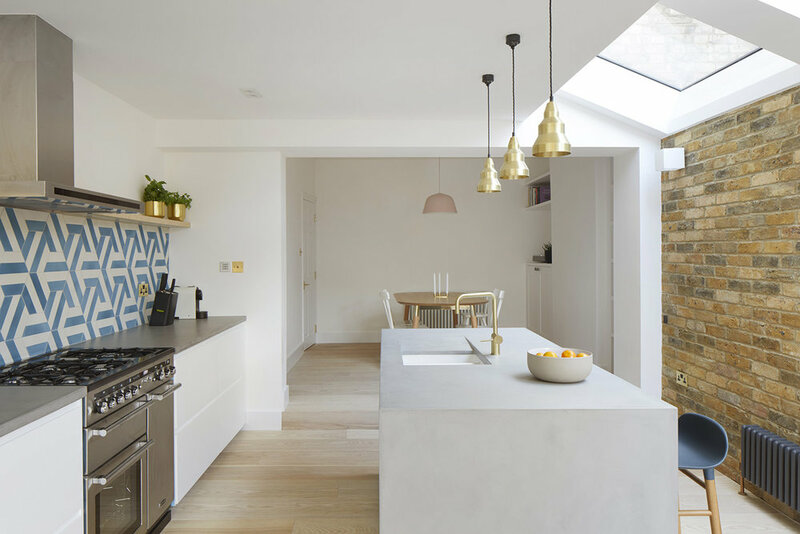 The project concerned a Victorian terraced house in North London on the same street as a previous project, but which had been previously extended before our clients’ purchase. It was felt that this extension was unsuccessful and led to a narrow and difficult kitchen and compromised interior space, so SS4 Architects’ design sought to address this issue while also improving daylighting and feel of the ground floor as a whole. In this project the clients engaged a separate interior designer who SS4 Architects worked alongside as work progressed, incorporating design detail changes as required. The new design involved negotiating some restrictive existing drainage, but successfully worked around this by creating a side infill to the existing house to allow a more spacious kitchen with improved layout and circulation space and increased opportunities for daylighting with large areas of flush glazed rooflights. The existing extension is repurposed as a play and storage space for the family’s young children, with full height larder and utilise cupboards and an incorporated bench seating arrangement for toys. 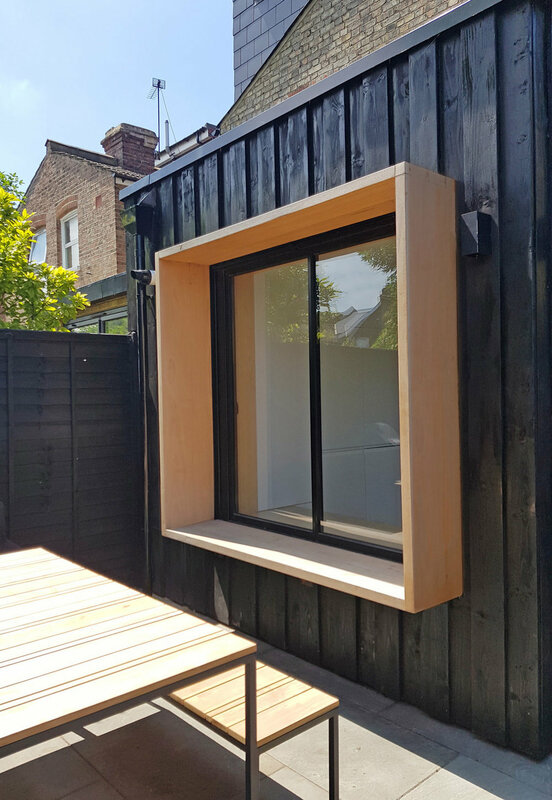 This existing extension also had large sections of wall removed to install slide and pivot windows to both sides, with a timber box projecting through the glazed wall so as to better visually link the garden and house and create a sense of flow between spaces, which can also be used as perch seating or play surface when windows are opened. 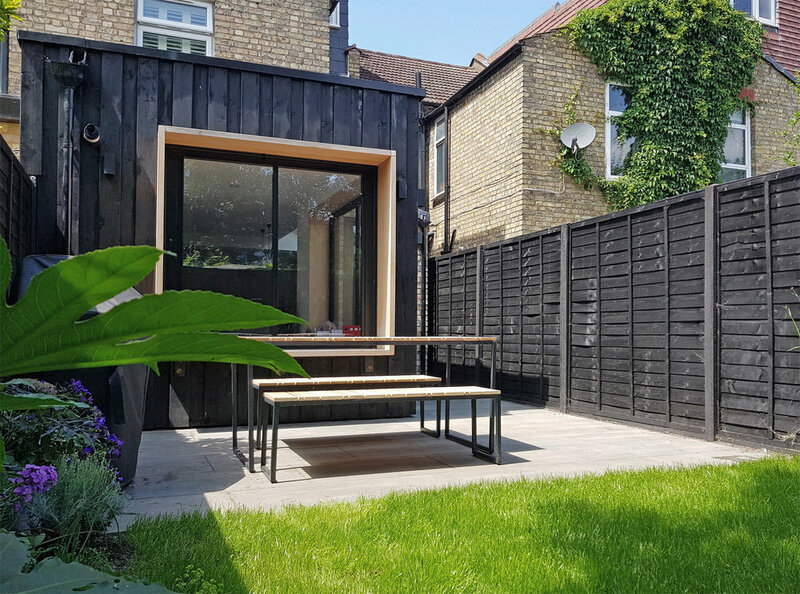 The existing extension was further altered so as to allow for vertical cladding to two sides to match a newly constructed garden building, rationalising this as a ‘black box’ addition distinct from the existing building, and framing the softness of the grass and planting between.